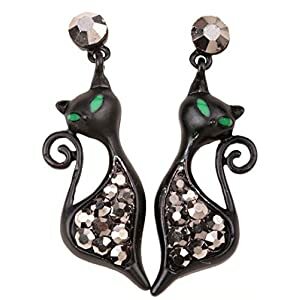 – Creativity meets coolness in these cool witch earrings. Made of silver plated base metal with exquisite seasonal Halloween theme. 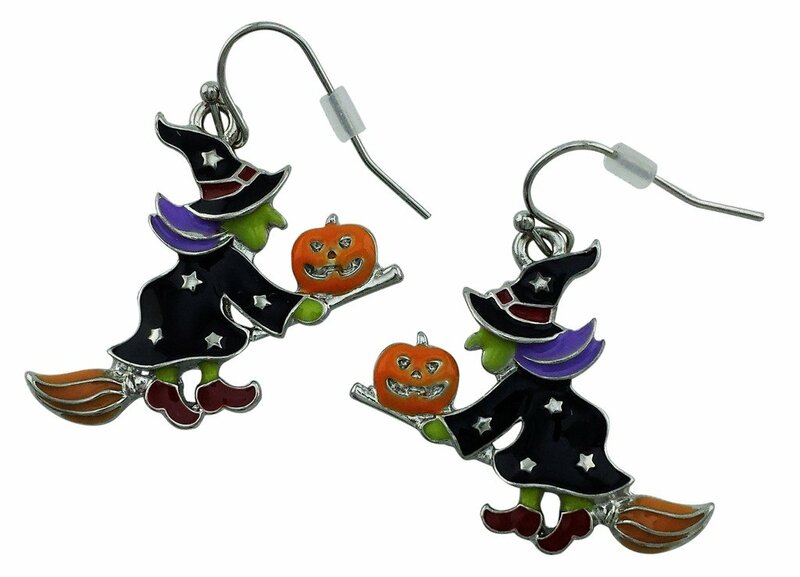 – Feel the spirit of Halloween as these earrings are witch riding a broom stick and carrying a pumpkin. Beautifully painted with black, orange and purple enamel. 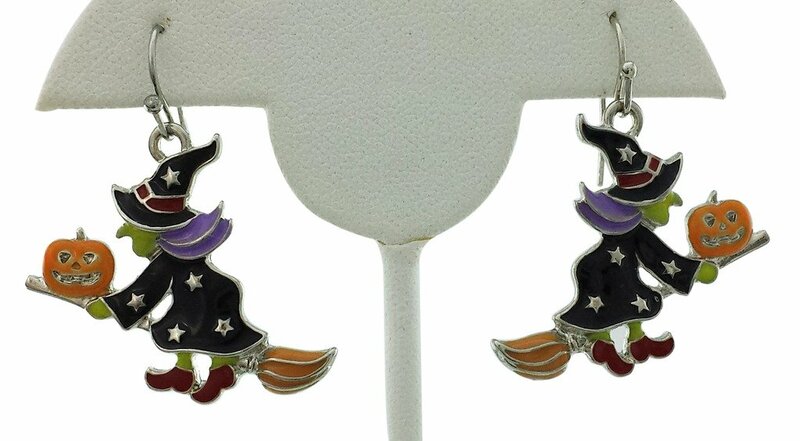 The cool witch spooky dangle earrings. – Great for girls and women as earring length is 1 inch (2.54 cm) by 1.25 inch (3.18 cm) wide. Easy to put on/off as the fasteners are fish hook ear wires. 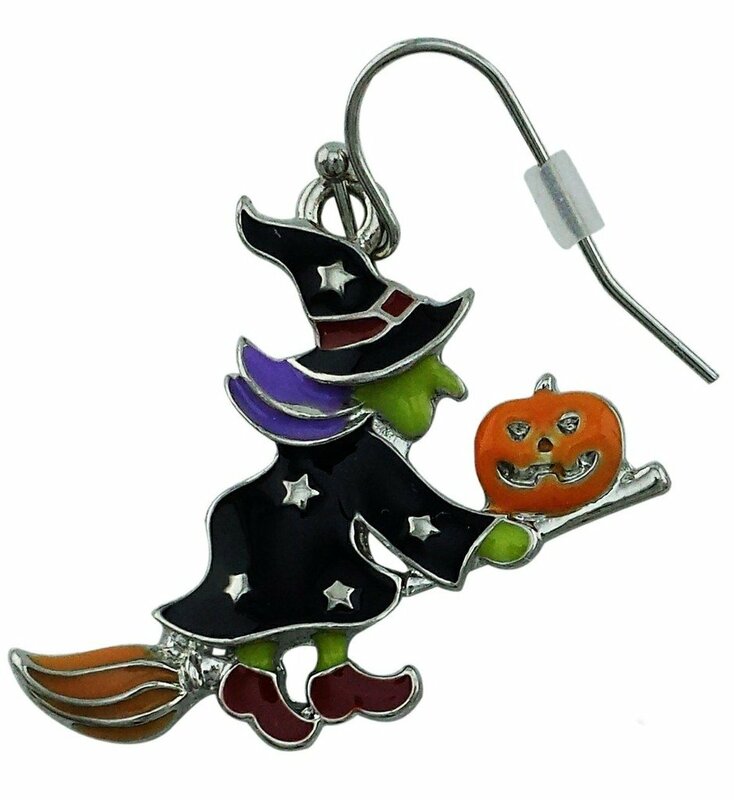 Complement yours and your kids Halloween style and costumes with these Halloween Witch on a Broom Stick Drop Dangle Earrings. 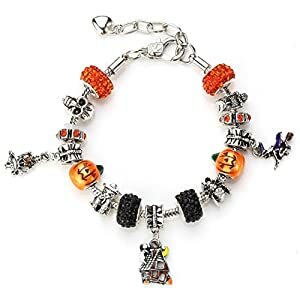 They’re the easiest gift, birthday celebration favor and a wonderful Holiday seasonal jewelry for the Halloween season ahead. They’re amusing, creative, detailed and will support your Halloween fashion style in a look. 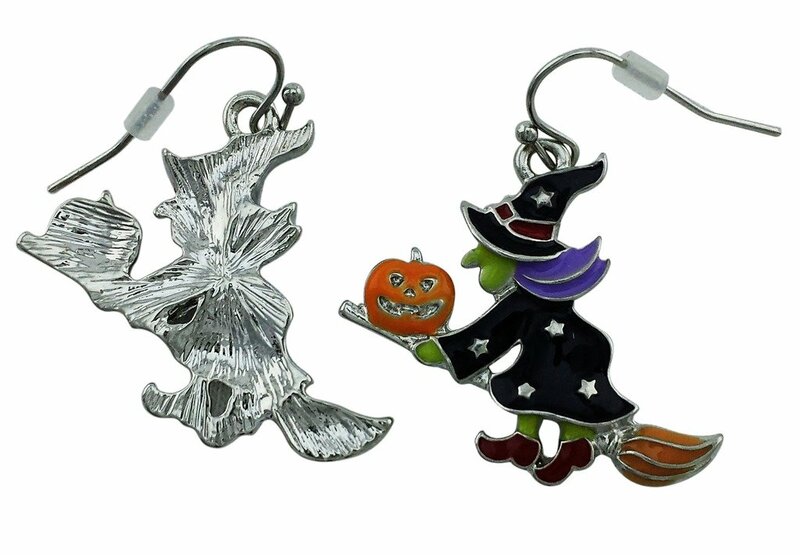 Impress your friends and family and add these witch dangle earrings on your Halloween costume or seasonal holiday outfits. Bring laughs and positive vibes with an original piece of accessory. The earrings are lead-free, hypoallergenic and silver plated base metal. 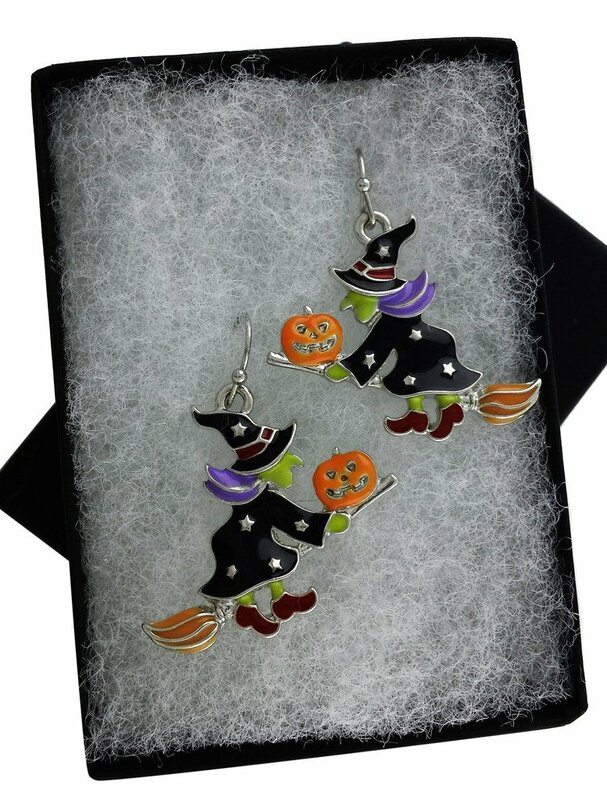 Designed to last these Halloween Witch on a Broom Stick Drop Dangle Earrings are indeed an artistic and funny birthday gift, holiday gift, birthday celebration gift. 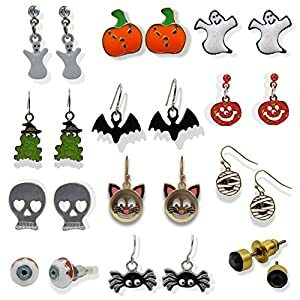 Buy these cool Halloween earrings to your dear other folks like daughter, nieces, sister, mother or friends or simply add a collection on your own Halloween jewelry collection. 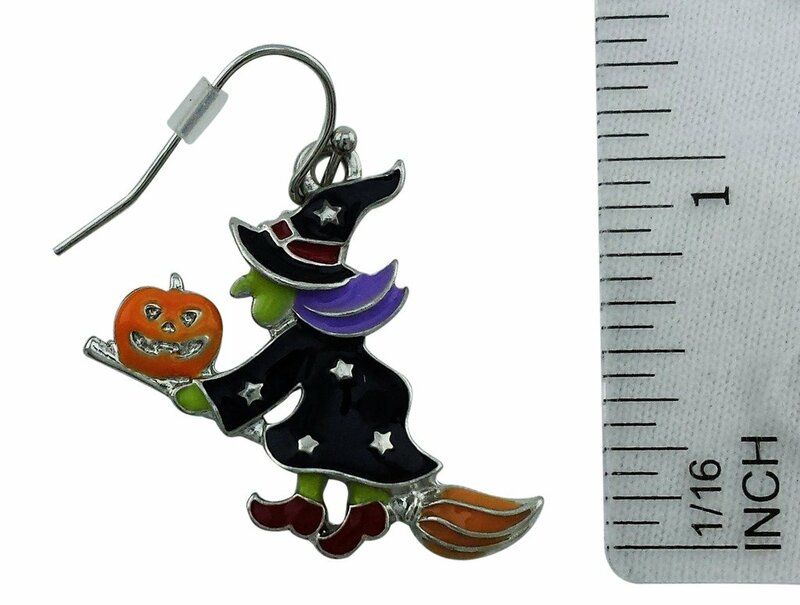 Rest-assured we simplest sell top quality Halloween Witch on a Broom Stick Drop Dangle Earrings and aim to succeed in one hundred% customer satisfaction. Because of this these witch dangle earrings comes with a money-back guarantee. – Creativity meets coolness in these cool witch earrings. Fabricated from silver plated base metal with exquisite seasonal Halloween theme. – Great for women and girls as earring length is 1 inch (2.54 cm) by 1.25 inch (3.18 cm) wide. Simple to position on/off because the fasteners are fish hook ear wires.